of the cost (non-returnable) Remember to write name and date. 3 days – Dressage – 2 nights 4 riding lessons Theory / core / yoga / groundwork etc. Day 3 09.00 – 12.00 riding lesson. 5 days riding camp Riding lessons, WE, dressage, trekking – at your choice Theory / core / yoga / groundwork etc. Day 5 09.00 – 12.00 riding lesson. 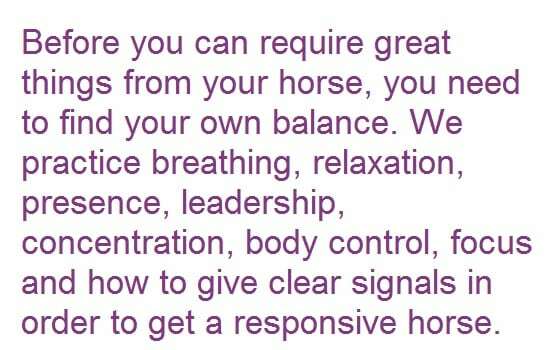 7 days riding camp All at your choice Riding lessons WE, dressage, trekking / core / yoga / groundwork etc.